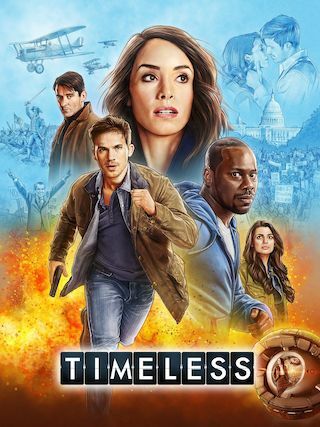 Timeless is an American 60 minute scripted science-fiction television series, which kicked off on October 3, 2016, on NBC and is broadcast every Sunday at 22:00. The show is currently in its 2nd season. NBC opted not to pick up Timeless for Season 3. Timeless officially canceled on NBC. Sign up to track down your favorite TV shows. Timeless tells the story of a mysterious criminal who steals a secret state-of-the-art time machine, intent on destroying America as we know it by changing the past. The only hope is an unexpected team: a scientist, a soldier and a history professor, who must use the machine's prototype to travel back in time to critical events. While they must make every effort not to affect the past themselves, they must also stay one step ahead of this dangerous fugitive. But can this handpicked team uncover the mystery behind it all and end his destruction before it's too late?